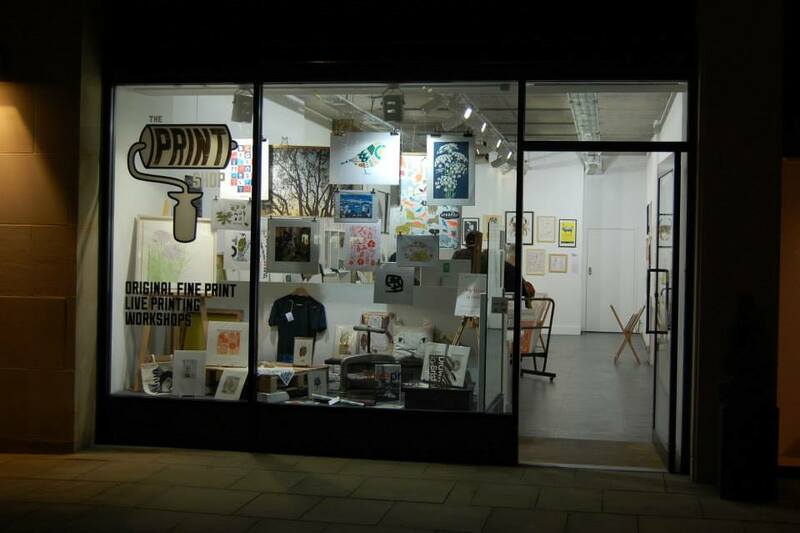 The Print Shop- Unit 6 Quakers Friars- Bristol city Centre. I’ve been really busy over the last 4 months starting and helping to co-ordinate The Print Shop, which is a pop up shop entirely dedicated to the selling and teaching of prints made by two studios Spike Print Studio, Whom I have represented and Drawn In Bristol. We decided to embark on a 6 month Collaborative pop up shop in the city centre of Bristol which would sell only hand printed artifacts and also teach and share the methods of printmaking in order to raise the profile of print and awareness to the many artists in the local area utilising print as a means to create their art work. There have now been over 8 workshops, 4 volumes each with a new turn around of over 20 artists and 4 well established guest artists appearing on our feature wall, we are now in the final volume of the term and will be closing the shop at the end of the festive season. I’d just like to put out some of my personal highlights of working as part of the management for the shop and hopefully those of you reading this will pop down to check out the final volume as it really is the cream of the crop and has been curated by myself, Kerry Day, Dave Bain and Dawn Cooper, who are the mighty admin/creative team running the show. 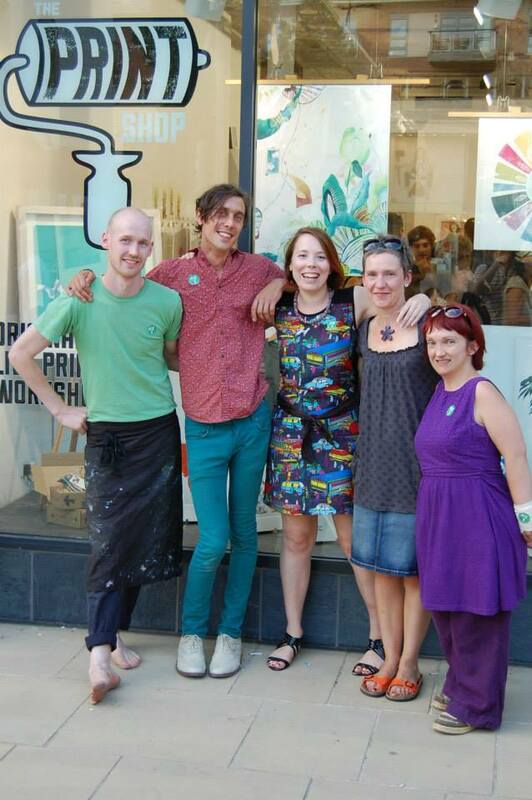 From Left To Right: Dave Bain, John Lynch, Bryony Morgan,Carys Ink, Kerry Day. 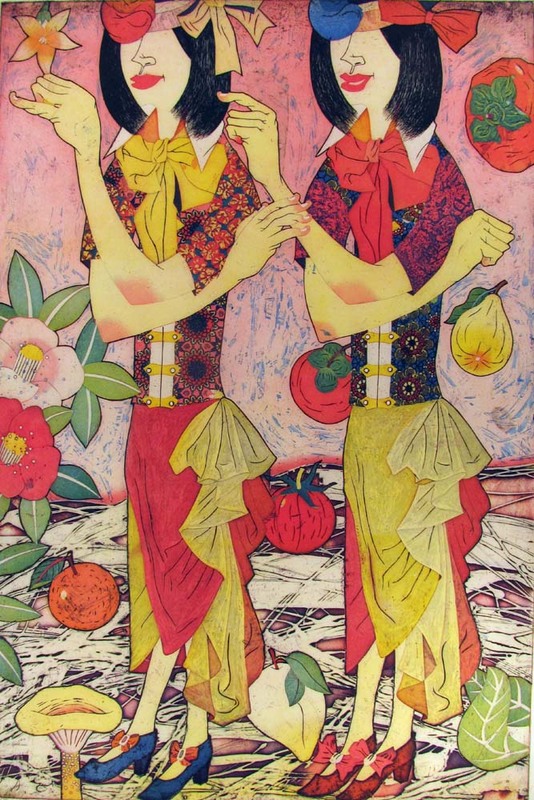 Futago Kannon: Twin Goddess of Mercy- Yuji Hiratsuka- Four Colour Etching. We also had a great evening when we managed to arrange a live link up all the way to Oregon county where Yuji and the Print Shop skype called and I lead an interview with the artist which was followed by a Q&A session. A great evening was had by all. We’ll be hosting another artist talk on the 21st November from 7:30 with Pete Williams their are limited places so email printshopbristol@gmail.com to reserve your spot. 2: Elaine Cooper: Washi Artist. We were really fortunate to have Elaine Cooper involved in the early stage of the shop: her research into the art of Japanese paper making has lead her to study under a Japanese master for the last ten years living between England and Japan, we were lucky enough to have her deliver a range of paper making workshops in the Print Shop. 3: Hanging the work into the small hours. With the turn around of over 60 different local artists 4 times in total, time has alway been pretty tight and I’ve really enjoyed going slightly mad with Dave and Fran whilst hanging all the work through the night always the day before the next launch. 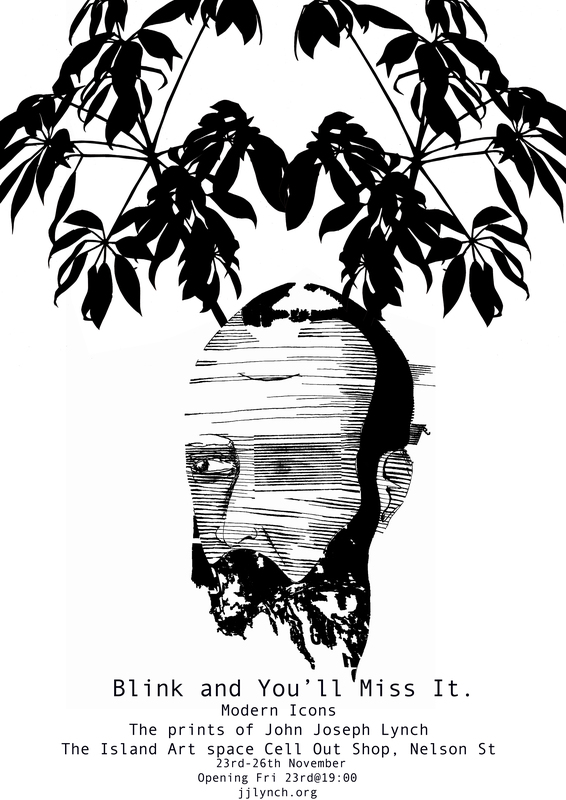 It’s really hard to mention the amount of print and great printed objects that have been through the shop so the best thing to do is go to the blogg page and look at all the great interviews. 5: Using the Studio space. Over the duration of the shop so far I have been working on my brand new woodcut, Royal Mail: V1 it’s been great to use the studio space in the shop and talk to people about what I’m working on and why. This print has taken me about 3 months to get right. 6: The monthly team meetings. We’ve had a great team in the Admin department all with a load of creative drive and great ideas, and its been a really good experience working and contributing to the project. There are really so many more great factors of the print shop but the thing to do is get down there before we close if you can and have a look at all the great work, go to the blog to check out who’s there and what events are happening this month, and help us to look after our studio by buying something whilst you’re there. 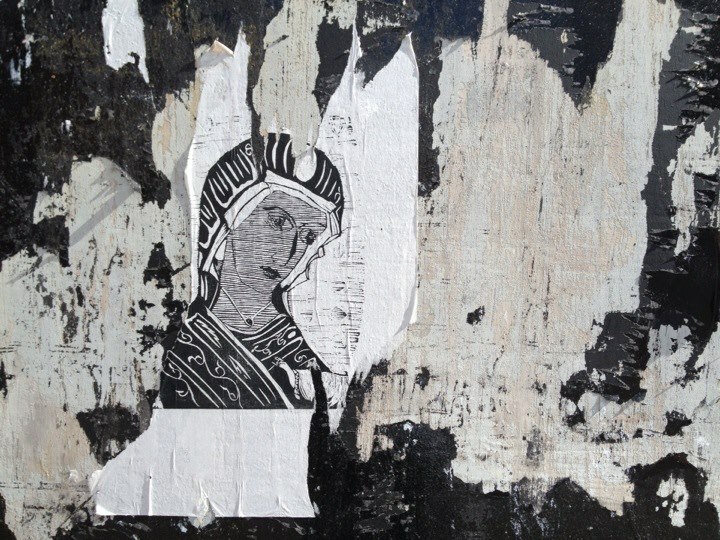 It’s been a while since i’ve updated my blog, thats mostly due to the wonderful Print Shop, and lots of good work going on there, anyway… If you’d like to join me on this short course I’ll be running at Spike Print Studio and learn loads about relief printing then there are still a few spots left! 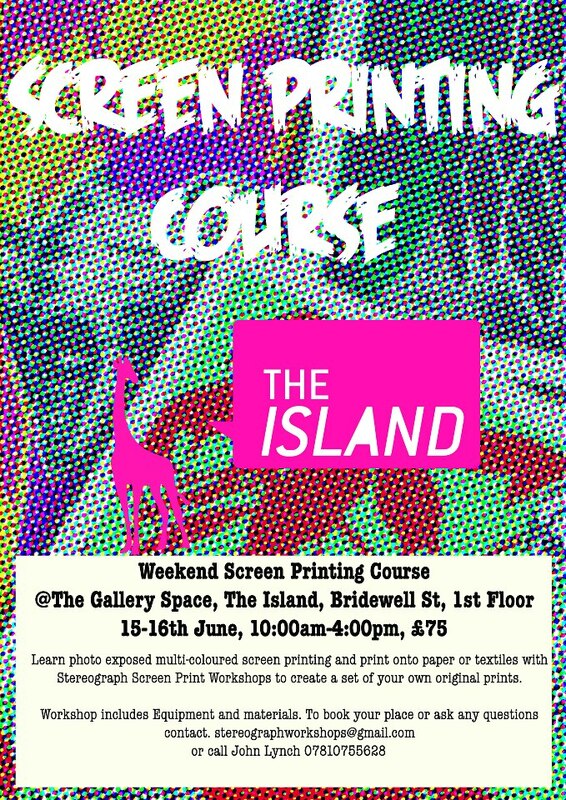 Also I’ll be running a wintery season of Weekend screen printing workshops at The Island Art Space from November. December -14th & 15th Make some screen printed gifts or cards! 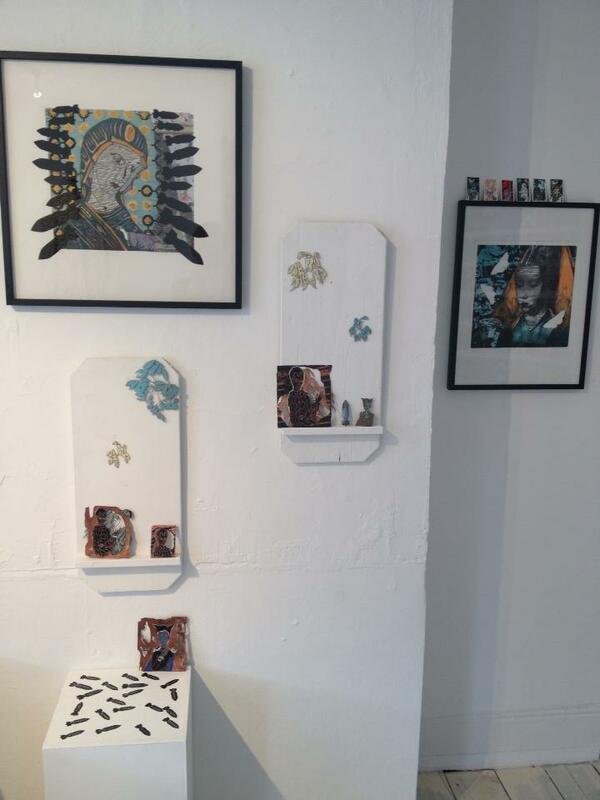 I’ll also be exhibiting at Multiplied this year with Spike Print Studio!! I’ll have mostly all of my relief prints including the newest works and some gifts for sale at the Torr Vale Mill for the New Mills Arts and Derbyshire Open arts events over the coming bank holiday weekend. 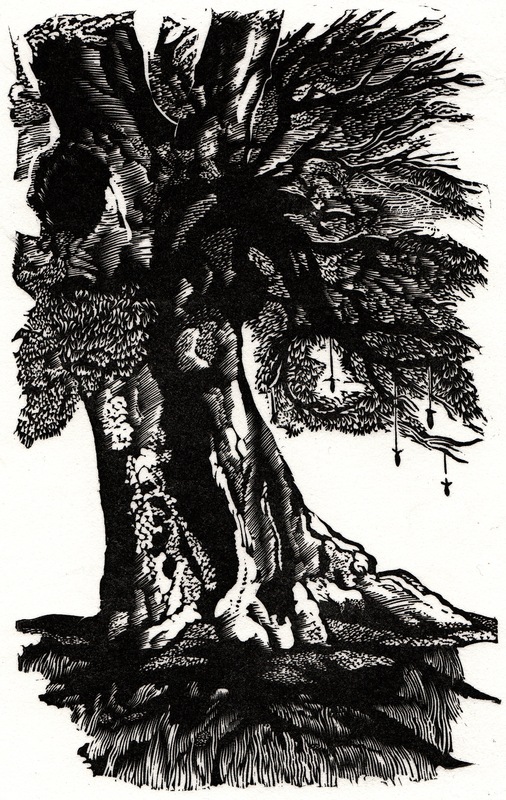 I’ll also be happy to talk about any printmaking methods and will have room for a few demos hopefully. 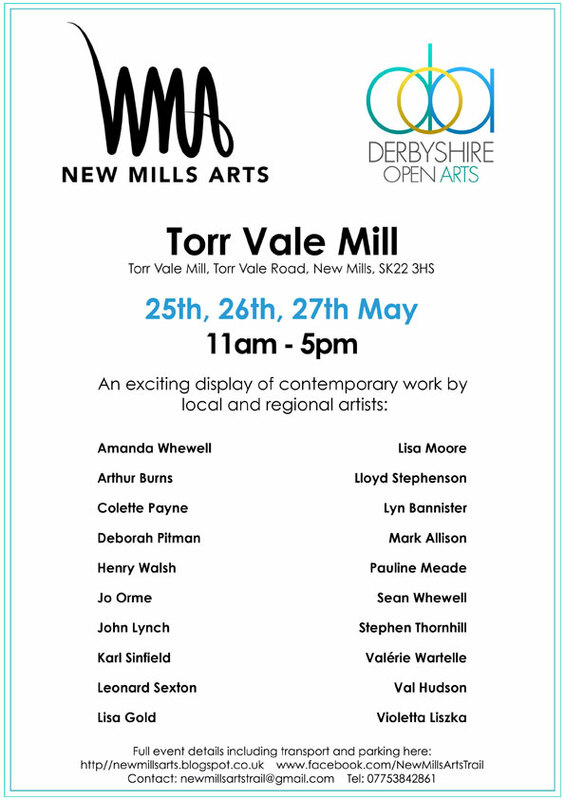 So if you are in the area drop by it looks like it will be a lovely event in the old Torr Vale mill.